I hope everyone is enjoying the beautiful summer weather that we are having! 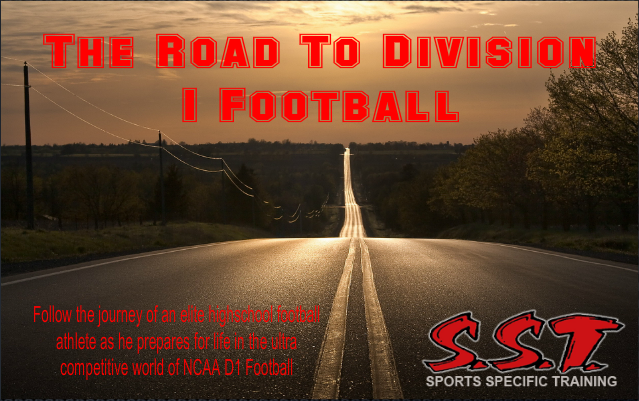 We are very excited about the Road to Division 1 Football update. Our focus was twofold- increase Kyles rate of force development and lower his body fat. His program was mixture of Cluster sets to focus on his overall strength, and with our 60% max workout to increase his speed and quickness. The speed aspect of Kyle’s game was the part that needed most improving. 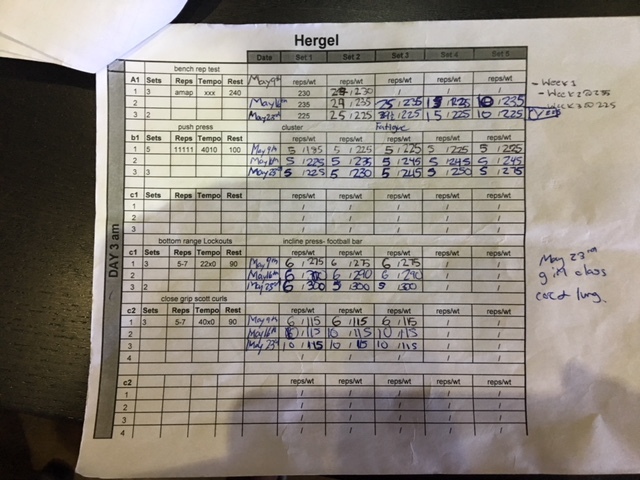 Kyle has days that he is lifting heavy (cluster) (90-100%) of his max and days were he is working speed and quick twitch working only (55-65%) of his max lift. Kyle is getting in 9 grueling workouts per week. 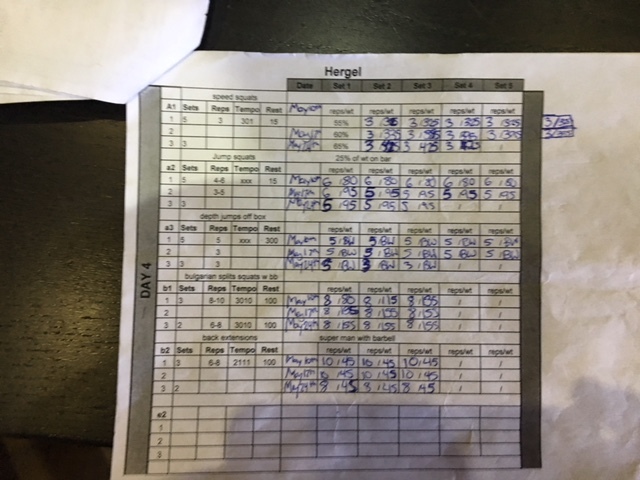 He is training currently two times a day at 8am and 3pm Monday-Thursday and one work out on Friday. To see the last 4 weeks of Kyle’s program PLEASE CLICK HERE. With Kyle hitting this much volume, his diet is so incredibly important. We needed him to lose body fat which he has, but maintain his strength levels. Kyle is on a low carb/high fat diet that has produced some great results. He has slimmed down from the 315 to 290 pounds and looks very impressive. THE BIG MAN ALMOST HAS ABS POPPING THROUGH! One of his concerns was not to lose strength…In fact his strength went up but more importantly his overall speed has increased! Here are some impressive numbers from his body fat calculations. 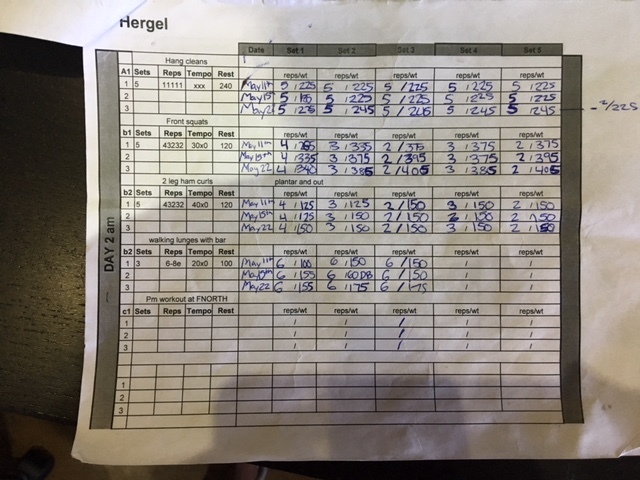 These results came from 8 weeks of work, 4 weeks of general preparation and 4 weeks on the first phase of his program. Below you will see Kyle’s full body fat numbers. In 8 weeks he went from 23.6% to 21.4% in total body fat which is awesome! 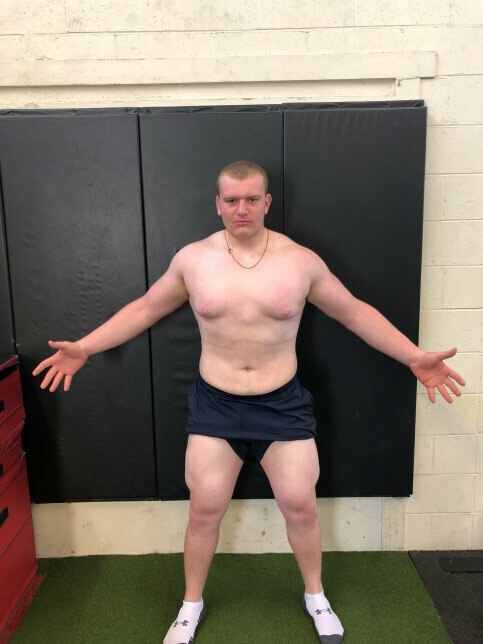 Take this stat in the average body fat for an NFL offensive lineman is about 24.8% so Kyle is keeping pace with pro athletes and let me tell you he is just as strong! I will also attach Kyle’s program, look out for the next update! 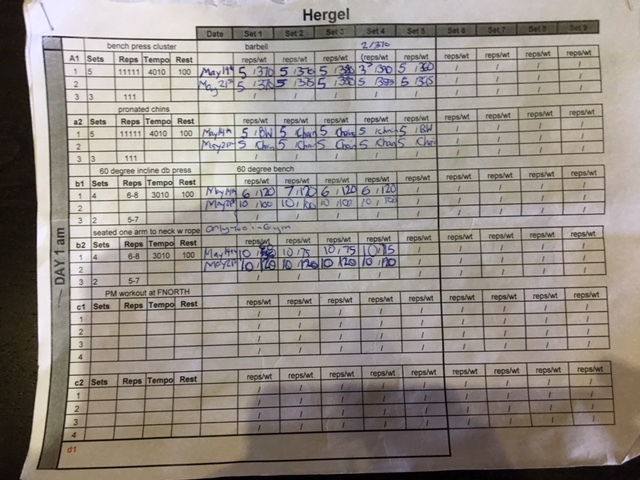 Here they are – Kyle Hergel’s workout sheets.